About a week ago, Newzik sent out a mailing that mentioned the Flic, a Bluetooth button that could be used to turn pages. They offered a discount, and it was relatively inexpensive, so I ordered one (this was not a demo or discounted unit, other than the “normal” Newzik discount code). It arrived today and I have been using it with forScore and Newzik. The idea of a small button for page turning is a great idea. Some people can’t reach a screen easily from a sitting position, but could mount a small button on their instrument which would allow them to change pages. In some cases, a foot pedal isn’t ideal. The Flic is a small button with the option of a sticky back or a plastic clip–not much smaller than my college ring (which appears to need some repair!). The Flic came in a small, Apple-like box, packaged in a box that could easily hold five of the devices. There are several versions of the Flic, including dedicated buttons that have a non-replaceable battery, as well as models that have replaceable batteries with limitless functions (programmable via the app). The button can be programmed for all kinds of uses (provided that the app has a relationship with the app). You can also program different functions for a press, couple press, or press and hold. This all sounds great, but as I use the device, I’m disappointed. First, the Flic app allows you to set up your button (and you have to register an account), but then the app must remain running in the background while you use other features to keep working. In other words, the Flic is a “dumb button” that triggers the app, that then triggers your music reading app. When you are used to instantaneous page turns by hand, AirTurn, PageFlip, or iRig device–the delay caused by the Flic seems too long. I didn’t officially time it, but it seems to be a full second or longer for a page turn…which is two quarter notes at 120 bpm. Additionally, I have forScore customized for my quad pedal PageFlip Dragonfly. The Flic app only allows a couple of forScore mappings, which do not match with the mappings on my Dragonfly…and in fact, all that is available is forward page turn (right arrow) and backwards page turn (left arrow), leaving no option for the third feature of the Flic (press and hold). I think if the Flic itself could send out the command, instead of relying on the app, the experience would be better. In my ideal world, the Flic app would store data (it can’t require much memory) on the Flic button, which would then send out the commands on its own. So, the flexibility of the Flic app is powerful–but in function it causes a significant delay–enough to make you worry about each page turn. As the Flic button also requires features in the app, it cannot trigger events like Keynote slides, which could also be useful. Ultimately, it is a product to watch, to see if latency can be reduced or a future version created which would contain the programming on-device. It might be ideal for many of its other potential uses. But as it is, I wouldn’t recommend it as a solution for music reading. If you need wireless page turning today, you will still be happier with AirTurn, PageFlip, or iRig devices. I had a delivery waiting for me after school today…a PageFlip Dragonfly. It is a four-button Bluetooth page turner that is in a very compact package. Years ago, I had purchased a PageFlip Cicada, a previous model from PageFlip, and have also been given an AirTurn BT-105 (since given away at a music conference to another music teacher) and the AirTurn PED. I won’t get into specifics, but the companies aren’t a fan of each other, and at the time I was given a BT-105, the AirTurn pedal was a far superior device. To be honest, my need for a page turner has been limited in past years, but as I now play ukulele most of the time in class, I need to be hands free. I don’t know why, but for me, the PED often results in a double page turn, which has been devastating in rehearsal and performance. I updated the PED firmware and changed settings in forScore, but the problem remains. More about that later. A few weeks ago, Matt Libera posted about the PageFlip models. My interest was peaked by the four-pedal design of the Dragonfly (other four pedal solutions are much larger) and Matt’s conclusion that the PageFlip models have matched or exceeded the quality of AirTurn. I don’t want to get into that discussion, but I did want to see for myself if I could make use do a four pedal system, what the “new” PageFlip models are like, and if my double page turn issue would resolve with a different foot pedal. My first impressions of the Dragonfly are positive…it is big, but not much larger than my previous Cicada. PageFlip has moved on from its prior “creaky” physical pedal, and there is something nice about physical on/off buttons, led lights on the pedals, and easy to select function buttons. I don’t know how this will work in my life…but I will start using it tomorrow. Now that I never carry a MacBook with me everywhere, I can handle the extra weight of the Dragonfly. The PED, however, has been so easy to carry everywhere for the past years. This may sound crazy, but I don’t blame the PED directly for the page turn issue. The PED has a different type of page turning mechanism, sort of a bump, that I have issues pressing while standing up. I think I may be hitting a second page turn while trying to press the pedal while standing and playing ukulele. I think the older BT-105 might be a better solution for my case use–but the Dragonfly also approximates that larger-pedal use, plus adds the additional two buttons. As a further note, I have the PageFlip set to turn pages forward/backwards with the big pedals, and to move from score to score in the set list with the higher second pedals. I also have to state that I’m not going to take sides on what the better company is…PageFlip has clearly improved their product, and I use a variety of AirTurn products on a regular basis. For example, the Go Stand and Manos tablet mount travel with me to every gig. I will clearly write more about this pedal in the future after getting a chance to use it. Until then, I refer you to Matt Libera’s recent post (which contains links to other things he has written about pedals). Also: PageFlip products can be found at PageFlip.com. As we draw near to the end of 2016, everyone is posting their “year in review” summaries. While 2016 has been a terrible year for many, and while some bad things happened to my family and I in 2016, generally it was a pretty good year, and we end the year counting our many blessings. The big story of 2016 in educational technology has been the dominance–or the reported dominance of the Chromebook in education. Chromebooks sessions are the topics people are attending these days, and schools are buying a bunch of them. If you have Chromebooks, the best solutions are going to cost money in the form of annual subscriptions. The best Chromebook applications are generally the same applications that have been web-based on Windows and Mac for the past years. Look at all of the products that are carried by MusicFirst, along with Flat.io, The New SmartMusic, and SoundTrap. The best device isn’t a device from 2016–it remains the 12.9″ iPad Pro. 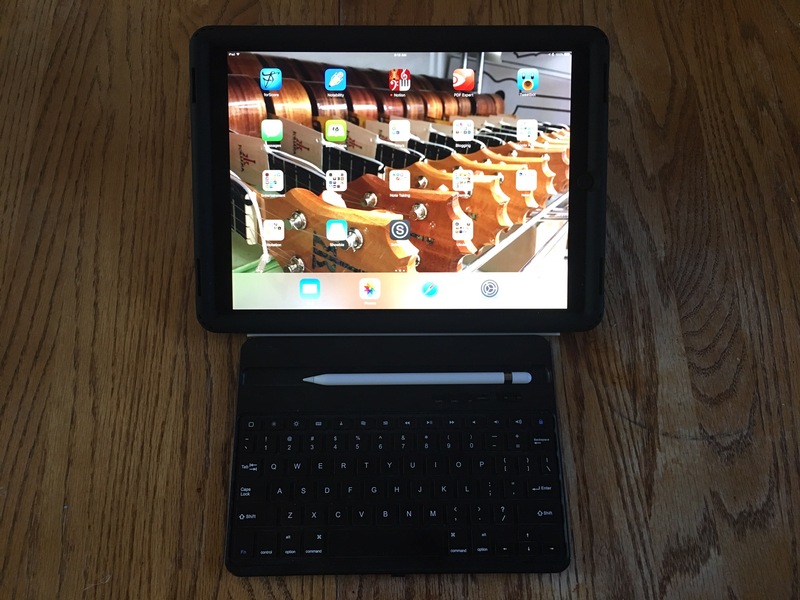 We are awaiting a refresh of this model, but the new large iPad is ideal for music educators, particularly when paired with an Apple Pencil and AirPlay wireless mirroring in the classroom. My favorite educational apps remain those that I use daily: Keynote, PDF Expert, Notion, forScore, unrealBook, Pages, Numbers, NotateMe (with the PhotoScore In-App Purchase) and GarageBand. The two apps that I would recommend as “apps of the year” would be newcomers to the scene: Newzik and Sheet Music Scanner. I have not made the shift to Newzik yet, but they are positioned well as a company that can read PDF files OR MusicXML files. In other words, Newzik is ready for the next generation of digital sheet music. Sheet Music Scanner is a game changer, as it is a relatively small app that is being aggressively updated, and does an incredible job scanning music (although it doesn’t scan everything). As I have mentioned previously, if I have to choose one app for app of the year, it would be Sheet Music Scanner. Sheet Music Scanner completes the ability for me to scan, edit, and export music all from my iPad without having to touch my computer. In terms of hardware, there haven’t been many new products for music education. I am glad to see the growth (albeit slow) of devices like the CME XKey Air, wonderful bluetooth MIDI keyboards, and the Yamaha bluetooth MIDI adapters. 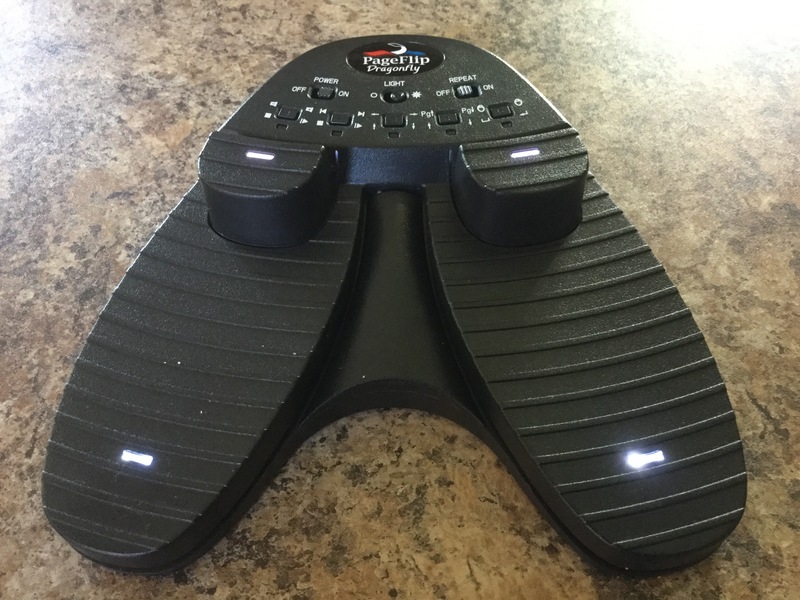 For bluetooth foot pedals and iPad stands, I would recommend AirTurn…although there are a few products from IK Multimedia. In terms of full-blown notation programs, it has been a big year with a new product (Dorico), major updates (Finale 25 and Notion 6), and regular updates (Sibelius, StaffPad, and MuseScore). And in classroom music, we have seen the introduction of Music First, Jr., and well as the continued growth and support from Quaver Music. As we close out of 2016, I think we are fortunate to have the devices, accessories, and applications that are on the market. For the most part, there is very little that I want to do with technology that I cannot do with solutions that are on the market. It hasn’t always been that way. I hope 2016 has been a good year for you (even if there have been challenges), and I wish you the best in 2017. Thanks, as always, for stopping by (or subscribing to) and reading this blog. As always, app links in my blogs are usually referral links that send 7% of the total purchase price (out of Apple’s 30% of the purchase price) to the “referrer.” The developer receives the full 70% of the revenue from their app–so when you purchase from a referral link, you financially support this blog whose content remains free and not behind a pay wall. Thank you for using these referral links! I have mentioned this before, but Aron Nelson (creator of unrealBook) has put together a very mice resource for PDF music readers. He has expanded the forum with a few other tech tips for iPad users as well. If you haven’t logged into the forum–please consider joining, and asking questions if you have them!